Earn $6.55 in VIP credit (655 points)What's This? 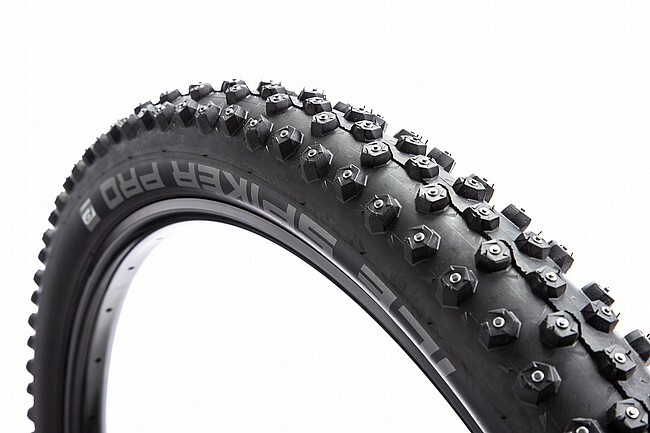 Schwalbe's Ice Spiker Pro Evolution 29 Inch Tire is a tubeless ready, speedy spike tire that bites firmly into icy roads. The tungsten carbide core of each spike is clad in weight-saving aluminum. The scales stop at 695g, yet the tire remains agile and sporty. Level 4 RaceGuard -- a double layer of Nylon fabric -- provides good protection for this light, sporty tire.